A man currently on a hold by immigration officials was injured in a nearly minute-long exchange of gunfire with an Arkansas lawman. Luis Cobos-Cenobio, 29, is in the custody of the Washington County Sheriff’s Department after he was wounded in the shootout last Sunday with an area deputy. According to a statement from the agency, released along with dashcam and bystander footage of the shooting, Washington County Corporal Brett Thompson attempted to stop Cobos-Cenobio for a traffic violation in Tontitown. 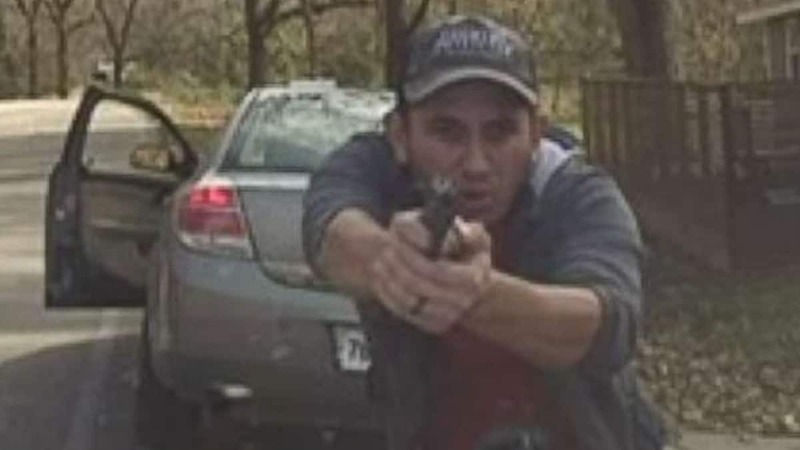 Once the man finally pulled over on a narrow country road and Thompson exited his vehicle, Cobos-Cenobio can be seen opening his own car door and immediately opening fire with a handgun. Advancing on Thompson’s marked SUV while the deputy sought cover, the man can be seen shooting around the vehicle and, later, through the windscreen. After 53-seconds of gunplay, Cobos-Cenobio is seen returning to his car, a 2008 Saturn, and speeding away a short distance to let a female passenger out of the vehicle. The female approaches Thompson and is taken into custody. Cobos-Cenobio was pursued by numerous local and state agencies, before he was arrested in nearby Springdale, after again exchanging fire with officers. Treated for a wound to the left arm and shoulder at an area hospital, he was released to Washington County deputies. No officers were injured in the incident, although Thompson’s SUV is shown in footage released by the agency to be riddled with bullets. The officers involved in the shooting are on administrative leave pending an investigation by state police. 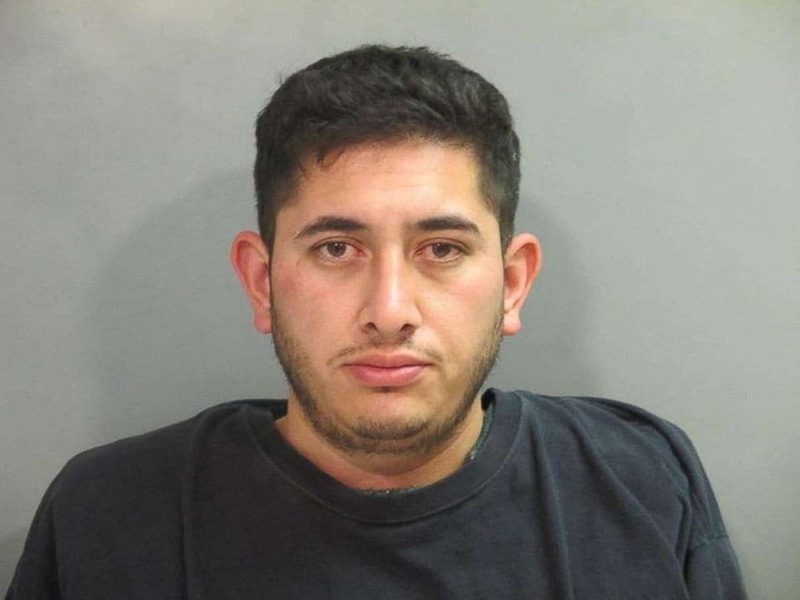 The Northwest Arkansas Democrat-Gazette reports that Cobos-Cenobio has been charged with a host of felonies to include four counts of attempted capital murder, and is being held on a $500,000 bond. The U.S. Immigration and Customs Enforcement have also placed a hold on the man.